Your entry hall furniture defines your home and creates the welcome for anyone who walks through your door. Every once in a while, taking a fresh look as your entry space furniture will help make sure it’s in step with the rest of your beautiful home. If your foyer could be a little more functional, or even if you just don’t love the style of your mudroom furniture, a few simple updates to your entry hall furniture may be the key to satisfaction. Entryway furniture has a few main roles to play in your home’s overall design. Create a pause as you welcome guests or say goodbye. Set the mood. You might say that every element of your entryway works together to set the tone of your home from the very first impression. Here is where your lighting really “shines,” and a stylish pendant can create an overall glow. Your rug and other accents, the style of the furniture, and artwork all send a message about style of your home. Beautifully framed art gives you a chance to express your style from the moment guests enter the door. Allow some storage. Bassett Furniture design consultant Luci Most suggests, “Pieces with drawers are great because they hide clutter.” Particularly in if your space is limited, an entry way storage cabinet can be a great place to tuck off season accessories, blankets, and more. A storage ottoman, accent chest, or entry way table with storage can provide the same function. It just depends on how you want to design the space. Position a mirror to check your appearance or fix your collar as you head out the door. Create a temporary place to set important items like keys and mail. According to Luci Most, “a foyer should have a piece of furniture where people can place items when coming into the home.” Here’s where an entry way console table or an entry way cabinet like any of the Bassett Furniture Soho Collection, set out of the way against a wall, can function as a convenient drop zone as well as a place for a lamp or decorative accent. Designed for narrow hallways and spaces, entry way console tables take up little space for the function they provide. 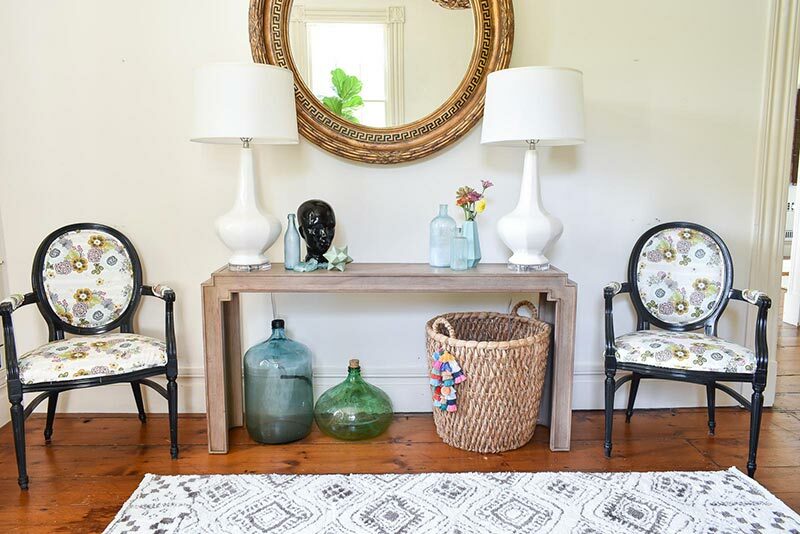 If you just want to make some small changes to spice up a dated foyer, Lucy Most advises “Paint the space to spruce it up and change the vibe. Add a new rug and perhaps a mirror and new lighting.” If you want to make sure your foyer is living up to its full potential, evaluate the whole space to make sure it is performing all the functions above. 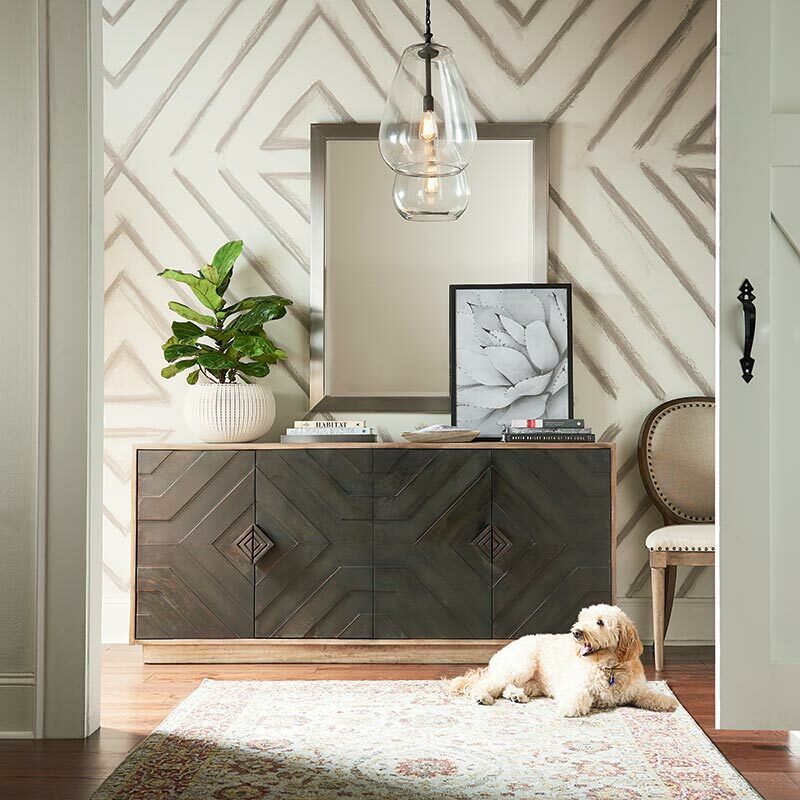 To make your entryway a welcome space you love to come home to, and bring it in to style with the rest of your home, visit a Bassett Furniture store.